Spring is in the air, and the trees are starting to look very pretty with their flowers blossoming in the sunshine. We're feeling inspired, so how about a competition? All you have to do to enter is knit or crochet a flower and send us a picture. This one in our picture was crocheted by Heather. The prize? 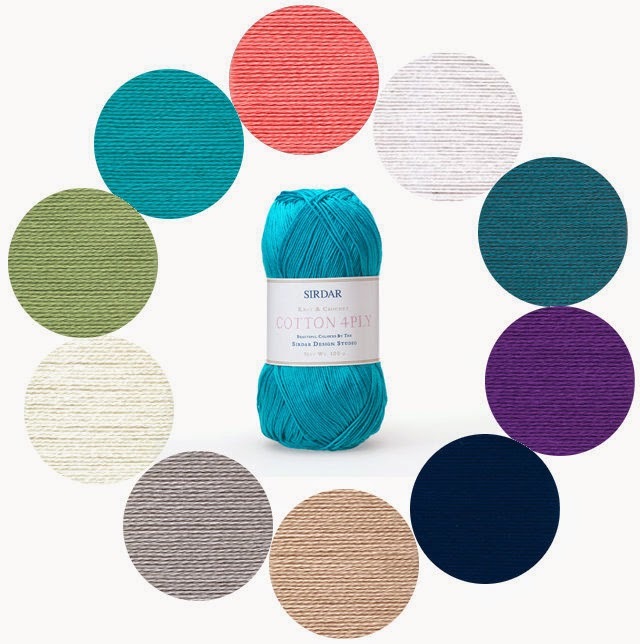 Ten balls of Sirdar Cotton 4 Ply - one ball of each stunning shade! You have until midnight on Thursday 30th April 2015 to send us your pictures and the winner will be announced on Friday 1st May. Please send your pictures to skim@mcadirect.com. Please note that we will share the pictures on our social media pages so that all our friends can see your wonderful creations. The staff at McAree Brothers will vote for their favourite to win the prize. Good luck!